Improper alignment is a major cause of premature tire wear. Over the years, a properly aligned vehicle can add thousands of miles to tire life. Many tires are replaced prematurely due to adverse wear. Gas mileage improves as rolling resistance is minimized. Total alignment sets all four wheels parallel, which along with proper inflation, minimizes rolling resistance. Does your car pull to one side? Do you have to turn the steering wheel to keep your car traveling straight ahead? 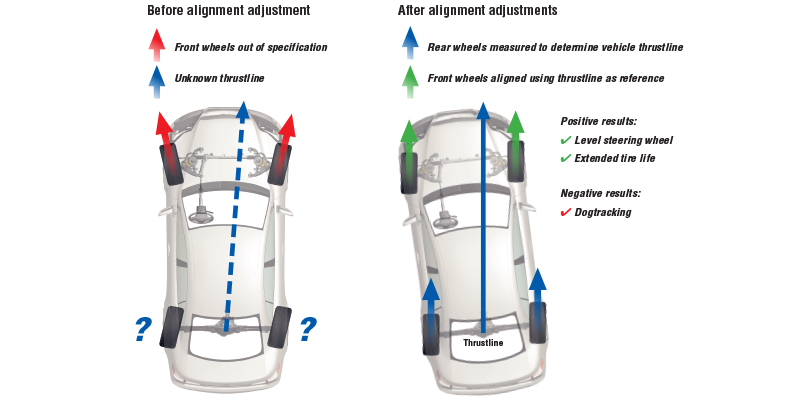 Many handling problems can be corrected by total alignment service. 1. Alignment angle readings are measured at all wheels. 3. Adjustable front wheel alignment angles are referenced to the rear thrust line and set to the vehicle manufacturer’s specification. Result: all four wheel are parallel to one another and the steering wheel is centered. 4. Adjustable front wheel alignment angles are references to the rear thrust line and set to the manufacturer’s specification. Result: all four wheel are positioned straight ahead and parallel, and the steering wheel is centered. Your shop uses four precision cameras to measure the position and orientation of targets mounted on each wheel of your car. 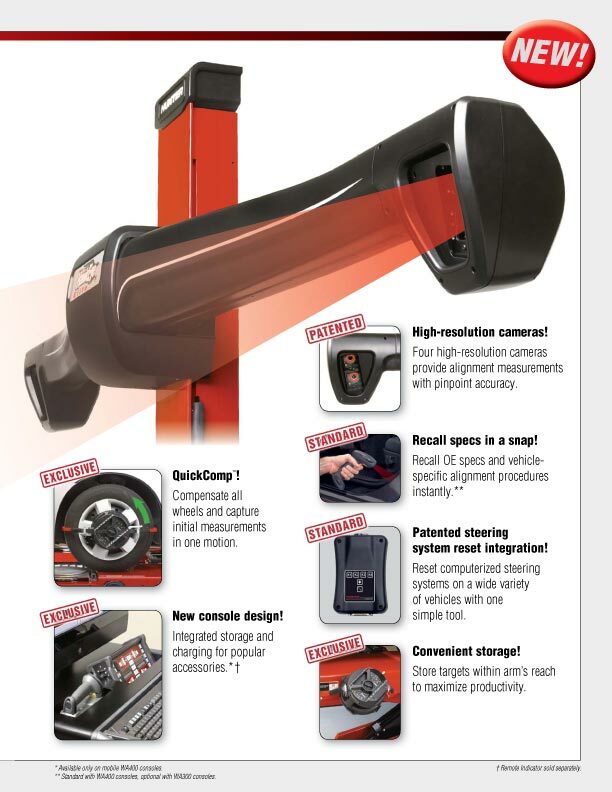 The aligner uses this information to calculate your car’s current alignment measurements and then compares these measurements to the car manufacturer’s (O.E.M.) alignment specifications. 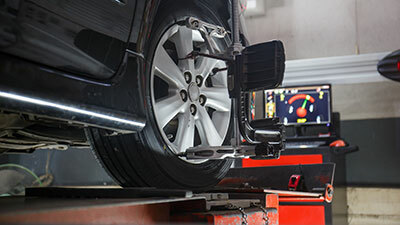 In your car’s wheel alignment is outside factory specifications, the aligner provides the technicion with the exact information needed to make the proper adjustments and return the alignment angles to the manufacturer’s specifications. A. Follow the vehicle manufacturer’s recommendation noted in your owner’s manual. But, as a general rule, have your vehicle’s tires checked every 10,000 miles or at least once a year.